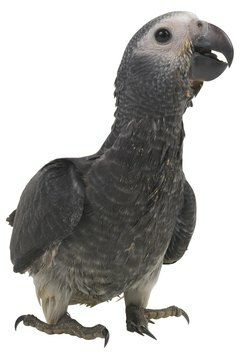 Hypocalcemia causes seizures in African grey parrots. A seizure is an involuntary behavior caused by a brief surge of abnormal electrical brain activity. This abrupt interruption of normal brain function can cause temporary loss of motor function and consciousness. Seizures in birds range from mild to life-threatening, and they vary in frequency. If convulsions accompany a seizure, a bird may fall from his perch, flap his wings uncontrollably, vocalize in distressed screeches or lose consciousness. Dehydration, low blood sugar and vitamin insufficiencies can induce seizures in birds. Often seizures stop once these nutritional issues are treated. Regrettably, determining the root cause of such deficiencies may not be as simple as merely keeping fresh water in ample supply or re-evaluating a current diet plan. In some cases, these may be symptoms of deeper underlying problems, including diabetes. Meanwhile, vitamin D deficiencies can relate directly to abnormalities of the uropygial gland, which are often caused by vitamin A deficiencies. A malfunctioning uropygial gland, also known as the oil or preen gland, can cause seizures as well as glandular metaplasia or hyperkeratosis. Concussions or other accidental head trauma may cause a bird to have seizures. These injuries often occur in birds that suffer night frights, which are sudden frenzied episodes of terror in the dark during which they attempt to escape their cage to no avail. The panicky flight inside the cage can result in wounded wings, damaged blood feathers and head trauma. 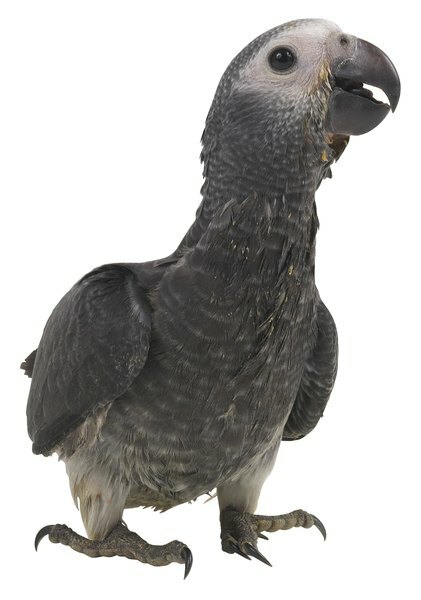 Some avian breeds are predisposed to stress seizures; others suffer stress-induced seizures only if they are not let out of their cages and handled on a regular basis. While a stress-free environment is ideal for all birds, it is especially important for those prone to tension. Heavy metal poisoning, often zinc or lead, is common in pet birds that prefer to chew on inappropriate items, principally metal cage bars, due to a mineral deficiency, depression or boredom. In addition to through heavy metals, birds can encounter toxins through various foods, household chemicals and plants, as well as tobacco products. Regardless of how a bird is introduced to a particular toxin, the nonspecific symptoms of poisoning include tremors, diarrhea, labored breathing, seizures and sudden death. The parrot may exhibit neurological signs like seizures or falling off a perch if he has proventricular dilatation disease, which is a devastating and fatal illness that assaults the central nervous system. Aspergillosis is a respiratory disease seen chiefly in poultry. It's caused by the fungus Aspergillus. This disease can present as either acute or chronic; respiratory symptoms are the first to occur. If any component of the central nervous system becomes involved with the malady, the bird may experience tremors, wobbly gait, seizures or paralysis. End-stage liver disease, when toxins have built up significantly in the bloodstream, results in a bird demonstrating central nervous system signs like disorientation and seizures. Likewise, metabolic diseases such as hypocalcaemia or hyperglycemia can cause a bird to have seizures.